If you’re planning to spend more than $30,000 on a new car, then you expect to get value for money. The vehicle should have excellent driving and safety features to enhance its long-term durability. One feature common in the longest lasting cars is a set of accident prevention features. Why is durability important to a car owner? Because a durable car makes life easier. Imagine how stressful it would be trying to fix a car that won’t start yet you have to catch a flight that’s departing in a couple of hours. The Nissan Maxima has proved that it’s still a reliable car even after passing the 200,000-mile limit mark. In 1982, Nissan produced the first Maxima and marketed it in Asia and North America. Since then, this model has experienced increasing popularity in Europe, South America, and even Africa. 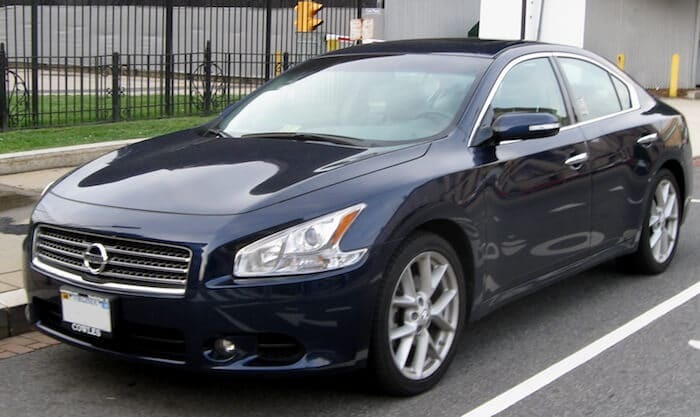 Currently, in its eighth generation, the modern Nissan Maxima has a set of safety features. Top on the list is the intelligent mobility feature that greatly enhances your safety while driving. This feature uses sophisticated cameras and sensors to observe other moving cars around you to enable you to avoid accidents by braking safely. The Toyota Sienna is widely popular in North America. Why? Because all three generations come from Toyota’s auto manufacturing plant situated in Indiana. In 2010, the Insurance Institute for Higher Safety awarded Toyota Sienna with a Top Safety Pick Award. This car has a very reliable electronic brake distribution, side curtain, and torso airbags, which makes it one of the safest family minivans. Under the hood, you’ll find a 296 horsepower V-6 regular engine. It can cover at least 20 miles per gallon of fuel and accommodates seven passengers. The Toyota Sienna has an all-wheel-drive feature that enables it to power through muddy off roads. The 2018 Honda Accord has an appealing sleek design that makes it attractive to corporate executives. It contains an intelligent Collision Mitigation Braking System (CMBS) that halts the car when a driver in front or beside you drives dangerously in front of you. Its hybrid engine enables you to cover at least 24 miles on just one gallon of gas. This car automatically adjusts its suspensions to various road conditions through its Adaptive Damper System. In order to stay abreast with current trends, the 2018 Honda Accord features a Push-to-Start button. The anti-theft system uses your car key to identify you as the real owner. You’ll notice paddle gears near your steering wheel to give you a sporty aura. Here’s another minivan that made it to the list of long lasting cars in 2018. The Honda Odyssey comes with a 280 horsepower engine and can cover at least 28 miles per gallon of gas on the highway. The improved V-6 engine enables this minivan to accelerate faster than previous generations. After listening to several customers, Honda ensured that the 2018 Odyssey has a spacious interior in the front and back. You can remove the second-row seat to create extra storage space when going on long family vacations. The eight-inch touch screen that’s connected to front and rear cameras enhance your surroundings visibility to help you park your car safely. The Toyota Avalon is wide and appears very similar to a 2018 Camry. It contains a V-6 engine that enables you to accelerate faster and navigate effectively in off-road thanks to its large cylinders. It features a front-wheel design for efficient torque distribution. It also enhances vehicle stability since the engine’s weight gets evenly distributed at the front. Tip: Is Your Credit Score Affecting Insurance Rates? One thing you’ll like about the Avalon is it comes with heated bucket seats. However, the car seat fabric is a synthetic imitation of leather. During collisions, the car releases front, side, and passenger seat airbags. The Nissan Titan is a large four-wheel drive pickup truck that has a V-8 engine. While driving in the city, one gallon of gas will enable your pickup to cover at least 19 miles. It can tow an object that weighs 9,400 pounds and has a 6.5-foot cargo space. The Titan has a 380 horsepower engine and only takes six seconds to go from zero to sixty miles per hour. You can carry five passengers since it has a roomy double cabin. Inside, you’ll find a satellite radio and a 4G Wifi hotspot for entertainment. If you’re looking for a powerful pickup truck, then you should get a Ford F150. This American-manufactured truck can tow an impressive 13,000 pounds. It has a spacious cargo bed that can easily fit two couches. However, it’s hard to store extra items in front because the seats seem a bit squeezed. Tall passengers might experience discomfort due to small legroom. It comes with a 3.5-liter V-6 engine that goes from zero to sixty miles per hour in 6.3 seconds. The Ford F 150 can negotiate sharp corners at high speeds due to its impressive suspension system. The Toyota Tundra is a large pickup truck with a double cabin and four-wheel-drive engine. 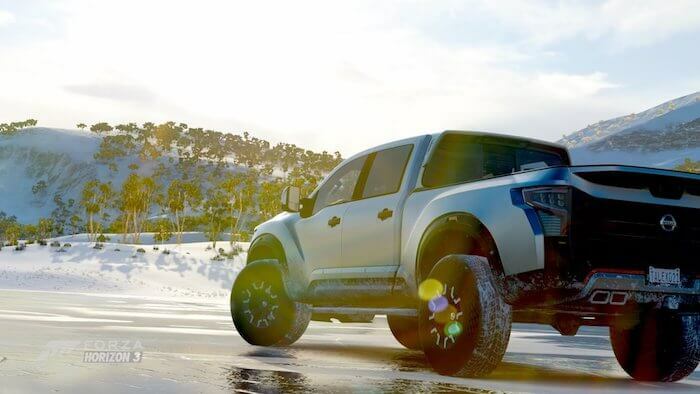 It resembles the Ford F-150 in design because Toyota is determined to dominate America’s pickup truck market. Despite having a 4.6-liter V-8 engine, the Tundra has an economical fuel consumption rate. A gallon of gas will help you cover 19 miles while driving within city limits. You’ll like the set of safety features inside the Tundra. The blind spot monitor helps you to detect cars on nearby lanes approaching too close to you. This feature enables you to avoid collisions while overtaking. In order to prevent you from crushing your lights, this pickup truck has both front and rear parking sensors. Another Toyota pickup truck makes it to the list! The Tacoma’s appearance creates a strong off-road adventure impression due to its high suspension. The exterior has minimum curves and the headlights have a basic design. It also has a double cabin just like the Tundra. You can create extra storage space by removing the second-row passenger seat. The Tacoma has a high suspension that enables the car to navigate rocky or muddy terrains at ease. It has an automatic braking system to halt the car when the car in front halts abruptly. Its 21.1-gallon fuel tank helps you to cover at least 490 miles. You can easily tell that the GMC Sierra is an American-manufactured pickup truck by looking at its massive size. The 2015 Sierra 1500 model has a 285 horsepower capacity thanks to its 3.5-liter V-6 engine. Buyers who need more performance can go for the diesel-powered 420 horsepower V-8 engine. Inside, you’ll find a modern entertainment system that has an Android operating system. It also has rearview cameras to help you avoid collisions when parking in reverse. Just like other trucks mentioned here, the GMC Sierra has an inbuilt 4G Wi-Fi system. You can choose one with either a 5.8ft cargo bed or 6.6ft. The back seat is removable to create extra storage space. The big Cadillac Escalade SUV is synonymous with the secret service and entourages of A-list celebrities. Most people prefer it black to enhance its aesthetic appeal. Inside, you’ll find a set of high-quality leather seats with plenty of legroom. Plus, this luxury SUV comes with a car DVD system that has a pull-down eight-inch LCD screen. The 2018 Cadillac Escalade has a 450 horsepower engine. This engine delivers a high amount of torque so high that you really don’t need a 4-wheel drive option when navigating off-road. It comes in either automatic or manual gear transmission. Do you love big SUVs that enhance your presence on the road? 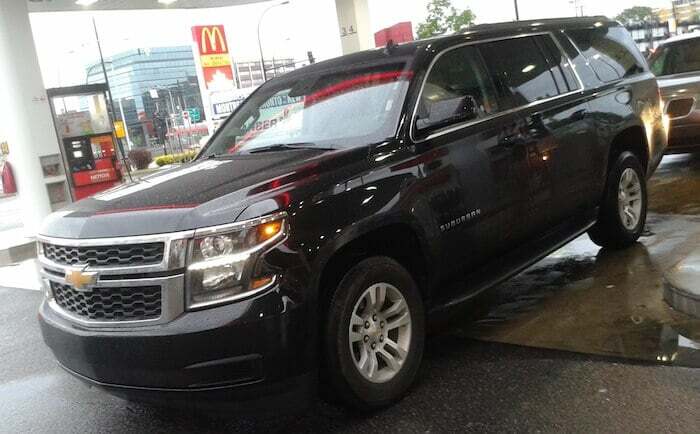 Well, the Chevrolet Suburban might be your dream car. It’s almost the same height and width as a 2018 Cadillac Escalade. However, this Chevy has a 355 horsepower engine and can cover 23 miles per gallon of gas. It has an enhanced steering and suspension system to maintain good stability when negotiation corners at high speeds. This Suburban is a highly safe car for your family due to the height between passenger seats and the ground. It also has rear cameras to aid your parking because it’s tricky parking such a huge SUV between other cars. One advantage of buying a long lasting car is you’ll always get a good trade-in deal when shopping for your next car. If you bought the car brand new, you spend less on repairs and maintenance due to the auto manufacturer’s warranty. You can also pass it down to your child or nephew who’s about to join college soon. If you’re planning to get a used Toyota Tacoma or Honda Accord, tag along with someone who knows how to inspect cars keenly. Also, save up a huge down payment to get really affordable car monthly payments.